The UPA government’s decision to confer the highest civilian Award to Sachin Tendulkar has triggered a much anticipated row. There is absolutely no doubt that Sachin deserves this honour for his contribution to Indian Cricket, but I feel it was more to lure some ‘cricket fanatic’ voters than to honour the game’s best Batsman ever. BJP, the principle opposition party, didn’t miss on the opportunity as well. They went on to demand a Ratna for Mr. Vajpayee. Some BJP leaders went on saying that the Bharat Ratna awarded to various Congress Prime Ministers (Gandhi-Nehru Family) were an outcome of ‘biased’ Congress governments, ignoring the leaders like Ram Manohar Lohiya, Jai Prakash Narayan etc. The former allies of BJP, National Conference and JDU looked like were in support of the BJP. BUT WHO IS BHARAT RATNA? Many people of tall stature who have done exemplary work in their respective fields find their names in this elite list of notables. In my personal opinion, not to offend anyone, every Martyr on the border is a Bharat Ratna. he need no medal or certificate for this. Those Doctor’s in remote villages serving humanity for no monetary interests are Bharat Ratna. 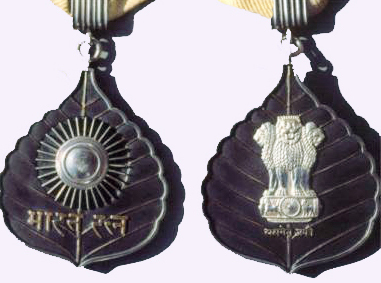 Those youth who have left their illustrious career to work for betterment of Society are Bharat Ratna. Well Well Well. Sachin and Dr. CNR Rao are Bharat Ratna this year. We may say anything but the reality won’t change. Let’s just hope it’s Major Dhyanchand, the wizard with the Hockey Stick, and Mr. Atal Bihari Vajpayee, one of the most eloquent poets and statesman of India, for next year. Here we are heading towards the end of another season of the DLF Indian Premier League. Though Indian talent hadn’t had much of the opportunity, there were certain unlocked mysteries in this season. Ajit Chandila‘s Hat-trick (pulling a rabbit out of the Magicians’ hat) is still fresh in the mind. Just two Ranji Matches for Haryana, nobody knew him that well. Interestingly, Jammy forgot his name at the Toss( or was it strategy?). Another mystery, which even the GOD(SRT) could not solve, is Sunil Narine. Don’t get confused he isn’t Indian rather he is a West Indian, named after Mr. Sunil Gavaskar. No one could really tell which ball would turn which way! Another revelation was Mandeep Singh from the Kings Xi squad. Paul Valthaty not finding form (not even a place in team) and Gilly out with Injury , Mandeep gave strong starts to Punjab at the top. Rahane, Rohit, Naman etc. don’t really need to give a mention here as they already have represented the national side on the highest level. Oh I just forgot Shahbaz Nadeem. This young left armer from Delhi is definitely a rising star of Indian Cricket. Someone would have thought before IPL had begun that DD would struggle with spin bowling department, but Shahbaaz proved his worth in the playing XI. Some talent did get a platform in this year’s IPL but the Franchises now look to win more matches rather than giving sufficient opportunity to young Indian Cricketers( the motto of IPL “where talent meets opportunity” goes into Trash). Kamran Khan was sent to become a farmer. KXIP didn’t give justice to Abhishek Nayar’s talent. DC tried to do something but they were outclassed in almost every game(except against PWI). Dada didn’t bother of talent rusting on the bench. In all, IPL seems to become more of a profit making Industry for BCCI rather than being a cricket tournament as it was conceived by the Board in 2008. Money flowing like water the business remains a mystery in itself. Let’s see where this year’s IPL takes Indian Cricket.